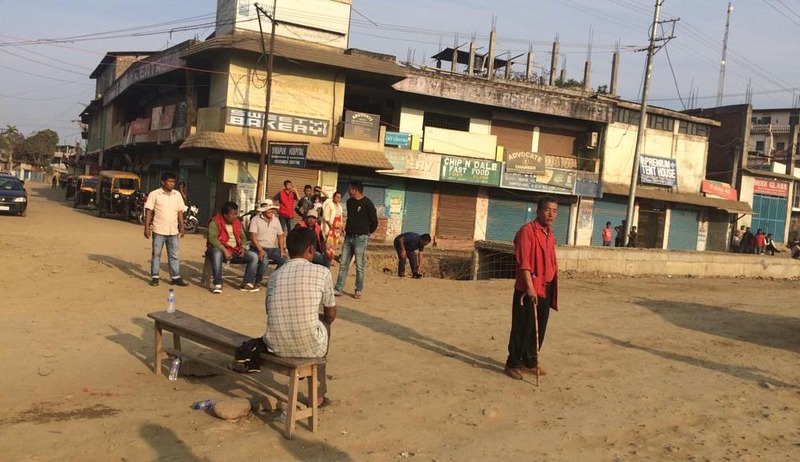 The Nagaland bandh, called by the Naga civil society organisations under the banner of Nagaland Gaon Burhas Federation (NGBF) against the Citizenship Bill evoked total response on Monday and passed off peacefully without any untoward incident. All offices, educational institutions and business establishments remained closed across the state on the day. All modes of transport, including the government-owned city buses, were also off the road. However, vehicles, including auto-rickshaws carrying students and teachers for examinations, people for pre-engaged programmes like weddings, train and flight passengers, etc. were allowed to ply. Despite the state government’s appeal to reconsider the bandh call, the civil society organisations were adamant in enforcing the bandh. The government made the appeal assuring to propose adoption of a resolution to oppose the Citizenship (Amendment) Bill, 2016 in the forthcoming Budget session of the Assembly scheduled to be held on February 21. Organisations like the Joint Committee on Prevention of Illegal Immigrants categorically had stated that under no circumstances the bandh would be called off. Although the organisers on Sunday decided not to deploy any volunteer to enforce the bandh anywhere across the state, bandh enforcers, including gaon burhas (village headmen), were stationed in different parts of the town here. They were seen checking and stopping vehicles at different junctions. The committee on Monday said the bandh was observed to send a message to the central government that the preservation and the protection of the indigenous people of the Northeast was of outmost priority. The committee said no amount of assurances given by the Centre on the Citizenship Bill and its implications can dupe the people as there is no mechanism to protect the indigenous people from the menace of the Bill once it becomes a law. The committee said “relentless lobbying” by the Centre to get the Bill passed in the Rajya Sabha amounts to total disregard to the sentiments of the people of the Northeast.